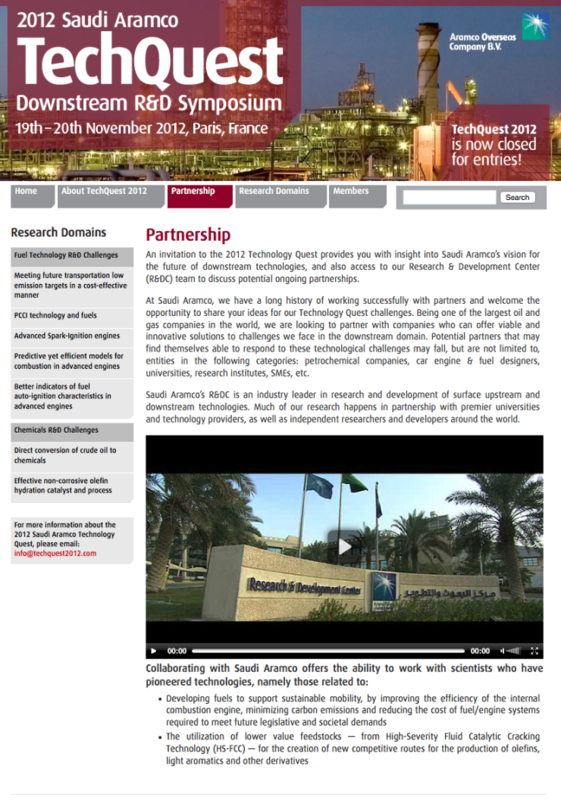 A web portal, commissioned by the then largest oil company in the world, hosting an annual call for submissions to innovate in downstream oil production technology. DFML was commissioned by global comms agency Fleishman-Hillard to work with their in-house PR, media and design teams to deliver and maintain the sites for the duration of the three-year campaign. 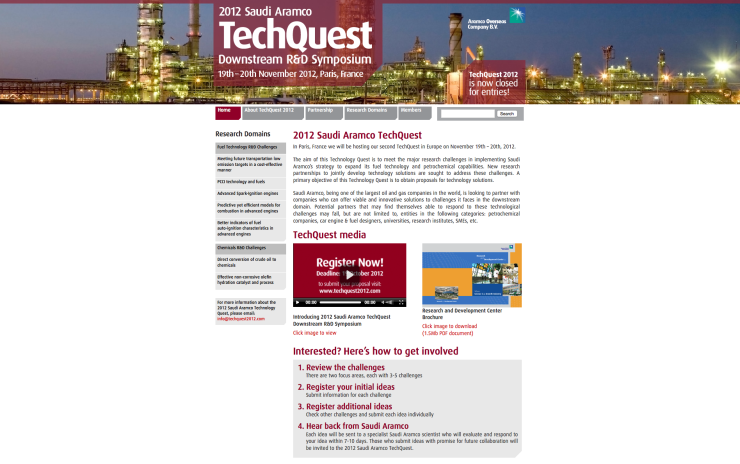 Site one (“TechQuest 2011”) was a call to all innovators in technology to submit proposals to meet the major research challenges in implementing Saudi Aramco’s strategy to expand its fuel technology and petrochemical capabilities. Site two (“TechQuest 2012”) built on the success of the previous year and received a record number of entries from all around the world. 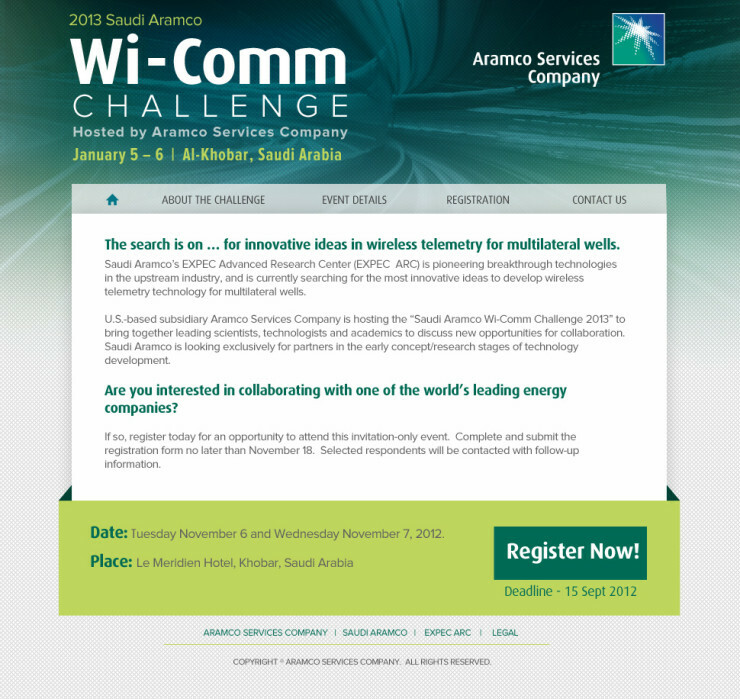 Site three (“Wi-Comm Challenge 2013”) was a US-driven search for innovation in wireless telemetry for oil wells. DFML currently hosts demo versions of the sites (they were shuttered at the end of the campaign in November 2013) running with cut-down content on our servers. Technology Quest 2011, Technology Quest 2012 and Wi-Comm Challenge 2013.